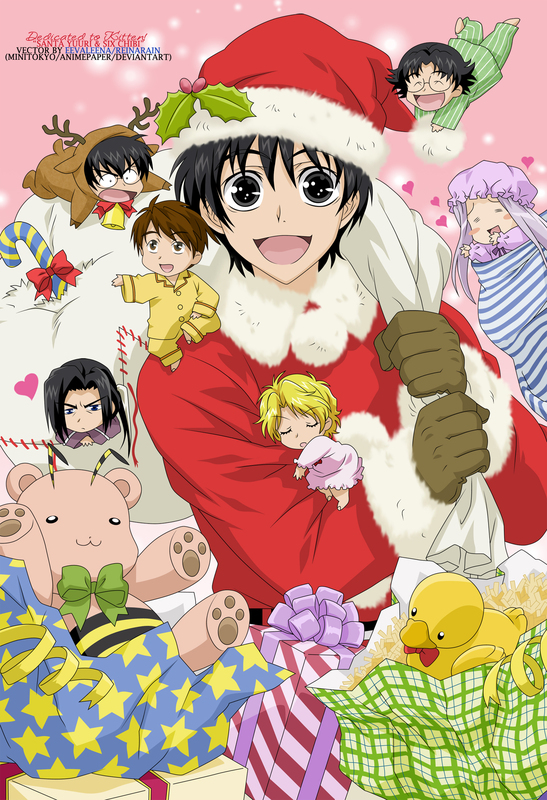 Easiest Part: the chibi's... NOT! Hardest Part: those gift and damn wrapping.. Dedicated to Kitten! This is my thank you for always supporting my works! And, it's an early Christmas present! Take it... take it! X-P Well... hope you like it! First off, sorry for the lame title... I couldn't think of anything else. Besides, the title is actually a parody of "Snow White & Seven Dwarf"........ You can laugh. Browse Kyou Kara Maou Gallery: Recent | Popular. the vector looks clean and detailed as usual. Nicely done! I would have missed this dedication! I love colors, gotta have them everywhere. 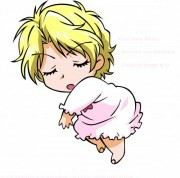 aawwww... look at chibi wolfram.... so cuute in his nightie! Girls will fall in love with it!